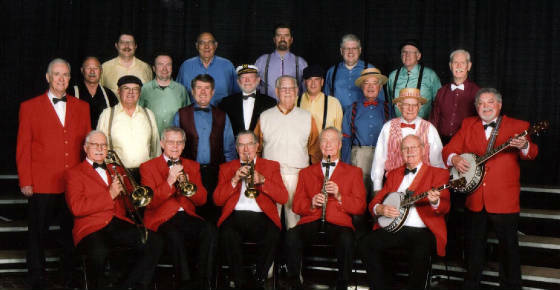 The Pride of Peoria Chorus gladly welcomes you to our Website. We are an all-male a cappella singing group associated with the Illinois District of the Barbershop Harmony Society. We currently have over 30 members and are always looking for more men who love to sing. Our musical organization is well known throughout Peoria and the surrounding counties. We love to share our style of four-part harmony in numerous ways: semi-annual contests; singing at senior centers and nursing homes; concerts at Glen Oak Park; performances for service clubs; quartetting at special celebrations; annual shows; and so much more. If you are interested in booking a performance by the Pride of Peoria Chorus or one of our fabulous quartets, or if you are interested in joining us as a guest at one of our rehearsals, please click the links in this paragraph to find out more information. Welcome!